Lickey Hills is in quite a nice location for a golf course, offering views of the surrounding vicinity and some ones of Birmingham city itself (not the most picturesque city in the world but still). Despite the course being a municipal one, I still managed to find slightly cheaper deals on Teeoff Times (if you haven’t checked it out, it’s a good site to find deals on playing a variety of different courses all over the UK and Scotland). Having said that, when I was talking to the course pro after my round and mentioned this, he informed me that if I had phoned the course directly, they would have matched the price. Anyway, like many courses in that neck of the woods, it is a tree lined parkland course. The fairways for the most part are not super tight. I found the first couple of holes quite challenging to stay out of the trees but for the majority of the course, the fairways were wide enough that it would take a really wild shot to put you in trouble. 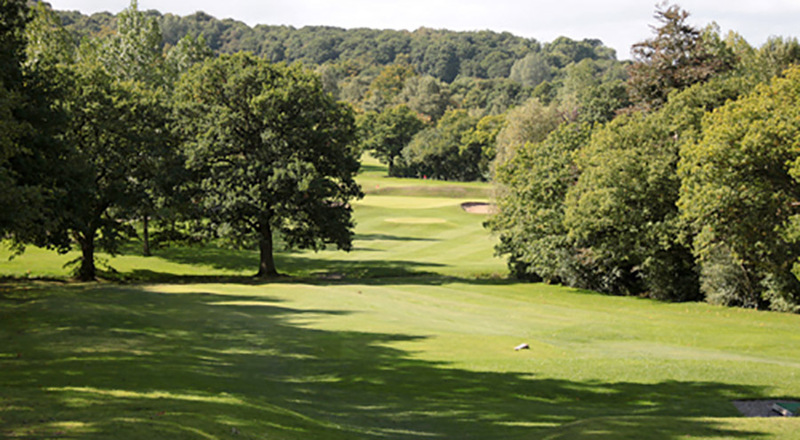 The 3rd is quite a tricky hole for a different reason – there is a huge left to right slope; you tee off from half way down a hill and play across it. Even if you aim way up to the left your ball is going to roll way down rightwards. And, then you are left with an almighty chip up to the elevated (from the RHS of fairway) green. Both times I played, I tried to hit my tee shot high up left and ended up low down right. Maybe after a lot of rain the fairway would hold the ball up better? The 4th is then a lovely little par 3 from a highly elevated teebox down to a green guarded by a couple of bunkers and a tree. I managed to hit a par the second time I played – like all par 3s, the secret is in hitting a good tee shot. For me the most challenging hole on the course was the 215 yard par 3 15th. There was no way I was getting on in 1 so it was lay up and chip on. My biggest complaint about this course has got to be the dog walkers and ramblers. They just seem to freely roam across the course as though it were some kind of common land. It is as noted a municipal golf so in theory it is public land but it is a serious bugbear of mine when they act like they own the place. On one of my rounds, on the 2nd fairway, I had to wait to play my shot (as I was not sure it would be straight) until a group of rambling pensioners, about twenty strong, trooped on down past my position! It is a common issue on public courses of course but I have never experienced the complete nonchalance with which the public seem to treat walking across Lickey Hills Golf Course. If you can stand the public intrusions and can hit your driver reasonably straight then you will really enjoy this course. There is a fair bit of going up and down hills (naturally) so it is also quite decent exercise. It does have a lovely feel to it and if you don’t see any dog walkers you could easily imagine you were playing on a much more prestigious establishment, given the quality of many of the holes. This entry was posted in Courses and tagged Course review, England. Bookmark the permalink.